On Monday morning, we woke up at 4am to drive 4 hours south to the Lower Shire (which they pronounce shear-ee) Region. The land around Blantyre and Zomba is on a plateau, and when you get just south of Blantyre, you get to the edge of the plateau and can see the Lower Shire Region for miles and miles. Well, at least that’s what we’re told. As we were driving down the plateau, there were clouds so low that it caused a very dense fog, and we couldn’t see anything. 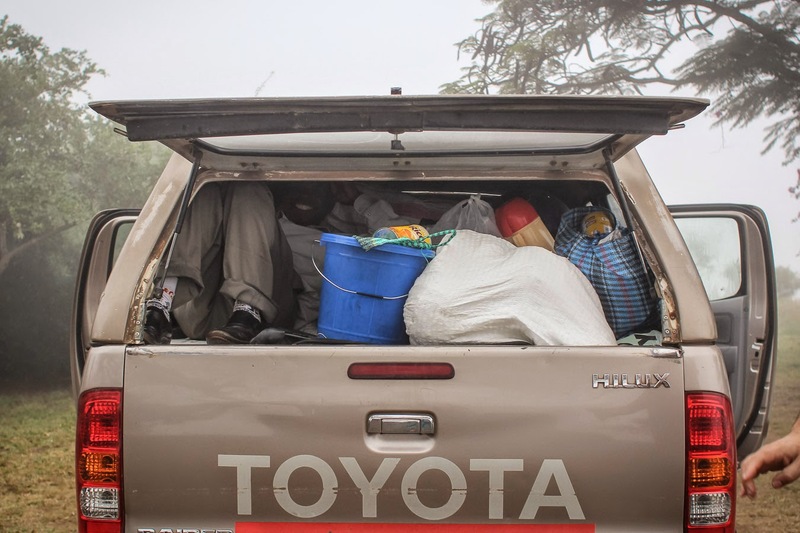 This is how Michael rode the whole 4 hours from Zomba to the first village, because there were already 5 in the cab. But as soon as we got to the bottom, we were finally below the clouds and could see the wide, flat plains. It’s called the Lower Shire because of the Shire River which runs through it. Our plan was to drive all the way down to a village on the outskirts of Nsange (4 hours south of Zomba, almost at the very bottom of the country), then drive back up north 2 hours to stay at a rest house in Nchalo. The next day, we drove to another village that was only about an hour south of the rest house. On the third day, the village we visited was only about 30 minutes south of the rest house. And on the fourth day, we only went about 15 minutes away. It may have made more sense to stay a little farther south, but good rest houses are hard to find in the Lower Shire, and Eric knew that Sarah’s Nest was a good one. In each of these villages, there lives a regional coordinator for the EurAfrican Baptist Mission, which is the mission that Eric started. 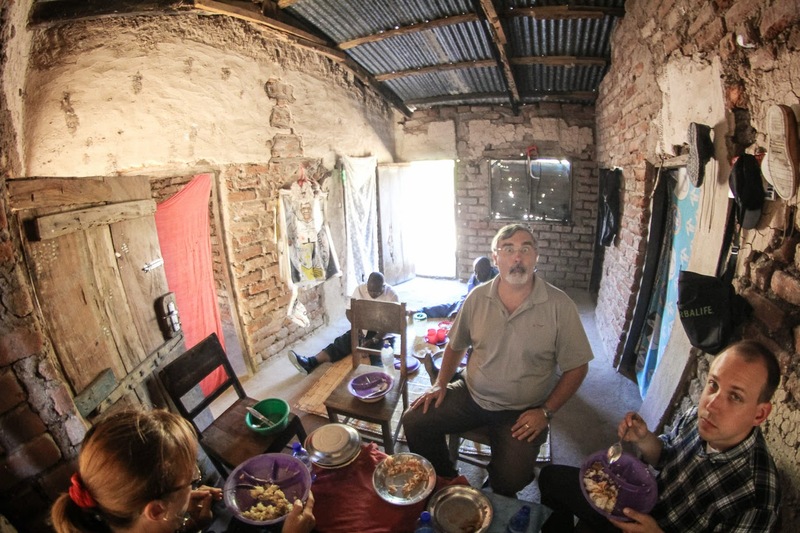 The regional coordinators regularly visit the churches in their regions, and they communicate with the churches when Eric needs to spread the word about something, like this week’s schools or the day camps they will be doing in a few months. 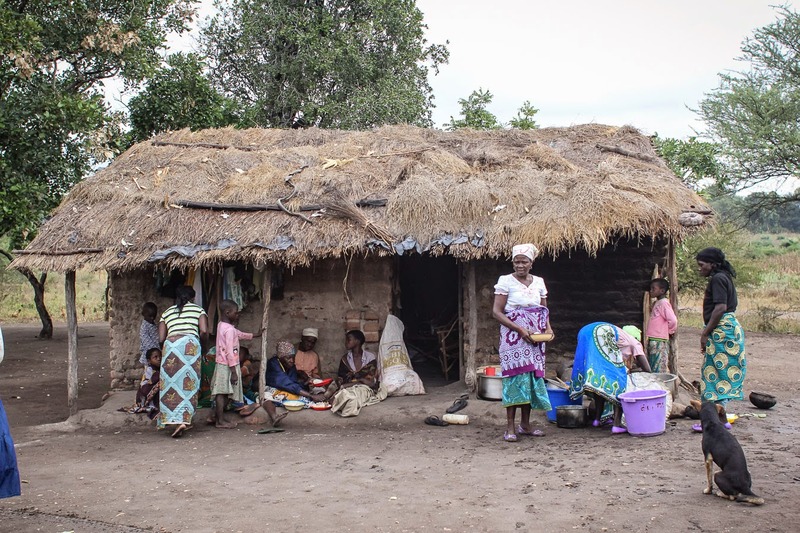 The first village we went to is on the northern outskirts of Nsange. 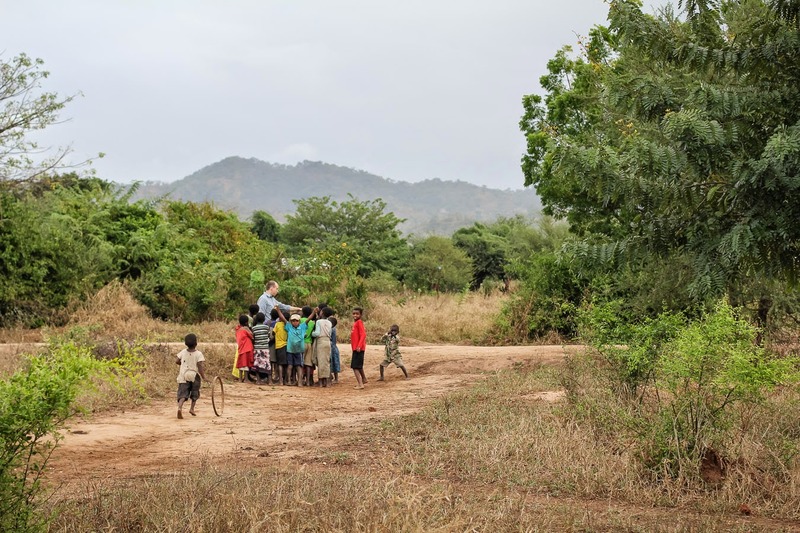 As we drove through the village to get to the regional coordinator’s house, kids ran toward the truck pointing and excitedly shouting, “Mzungu!” (“White person,” or literally “miracle worker.”) In the third village, the kids actually started chanting “Mzungu! Mzungu!” as we drove by. Everybody, and I mean EVERYBODY stares at us. Women and children hanging out and cooking in front of one a regional coordinator's house. In each village, we quickly drew a large audience of children who would stare at us and giggle. 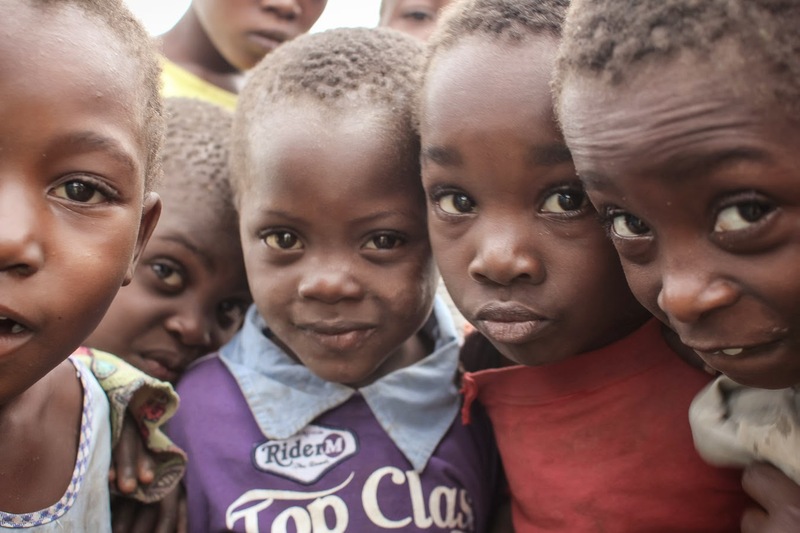 In the first village, I made the rookie mistake of thinking that if I interacted with them a little then the mystery of the mzungu would lessen and they’d go play. That drew more and more kids. They just kept coming from every corner of the village. 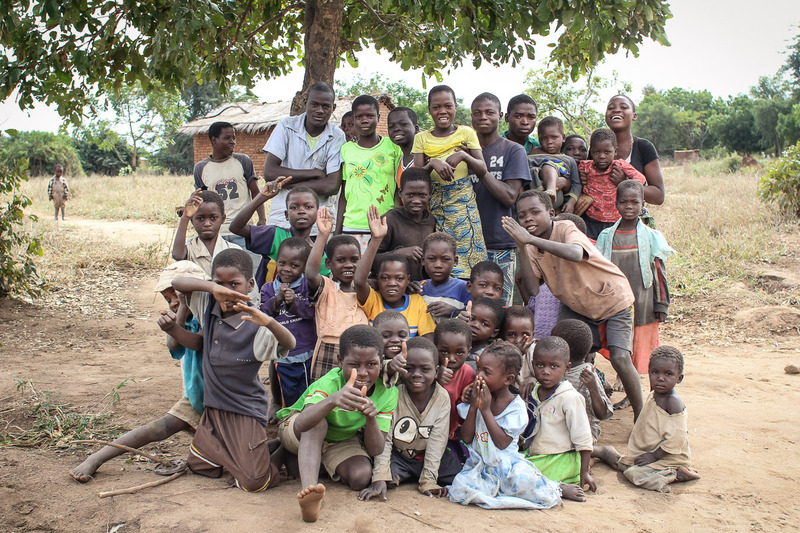 The teens were more shy, but even some of them couldn’t resist the urge to go see and try to talk to the mzungus. Kids in the first village we visited. Josh entertaining kids while Gama taught the pastors. Finally I just had to learn to ignore them, and especially not to take pictures of them. They would eventually get bored and go play, though a small group of the most curious kids would still hang out nearby. Usually after lunch we would interact with them for a while. Josh tried to teach them songs, Stephanie tried to tell them Bible stories with her limited knowledge of Chichewan, Eric chased them like a zombie, and I took pictures of them. 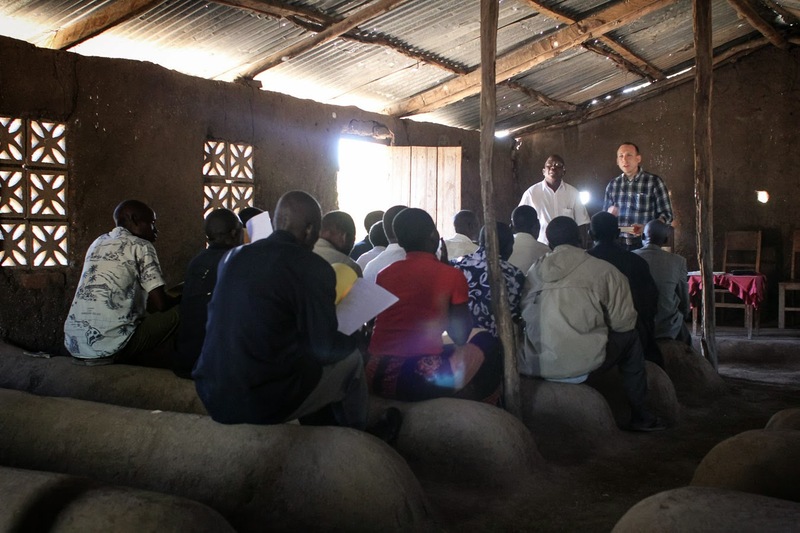 Josh teaching in the first village. 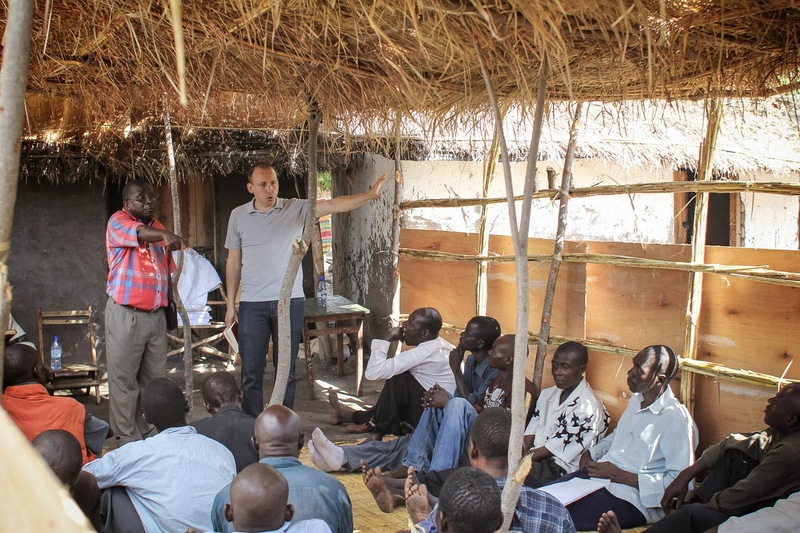 Josh teaching in the second village. I'll never complain about uncomfortable church pews again after sitting on these for three hours! 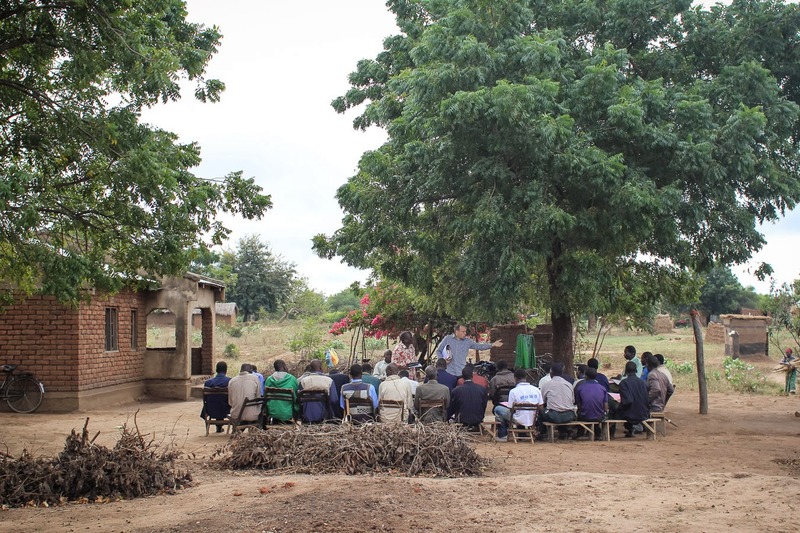 Josh teaching in the third village. 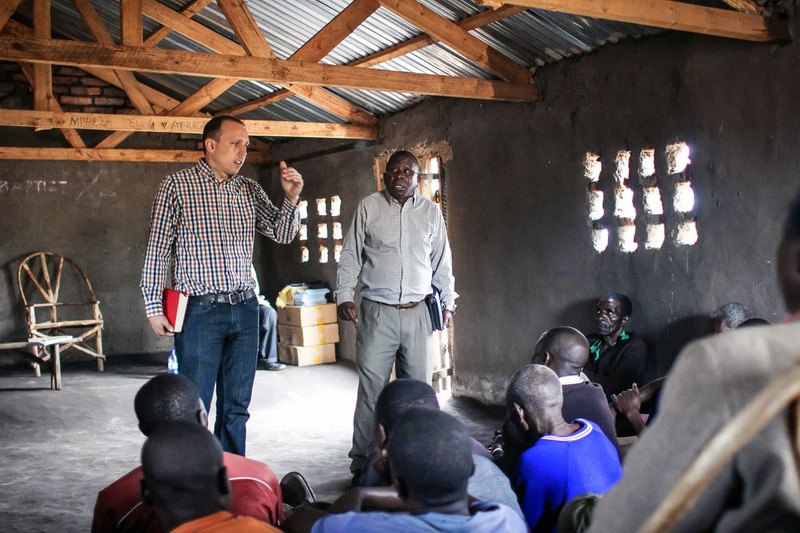 Josh teaching in the fourth village. After Josh would finish teaching (he taught for 3 hours straight every morning), we’d eat lunch, which a few women had been working on since our arrival. 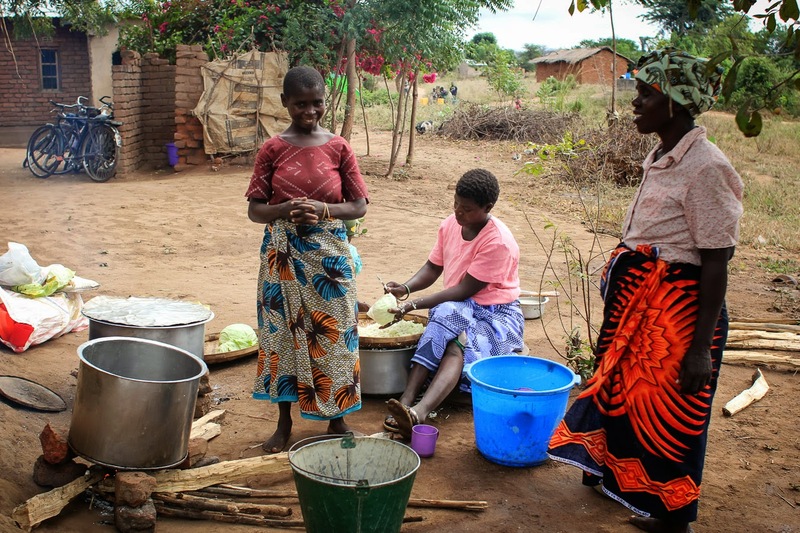 The women fixing lunch in the first village. 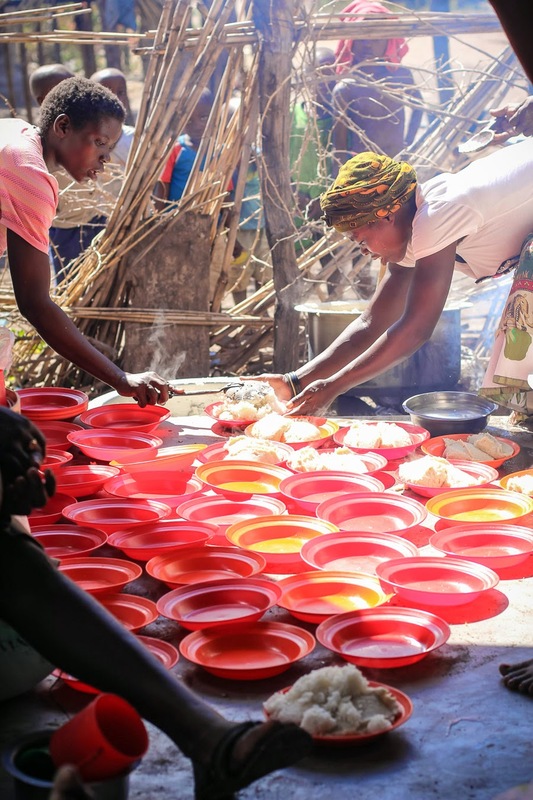 The women dishing out lunch in the third village. Everybody got a huge portion of rice and nsima. 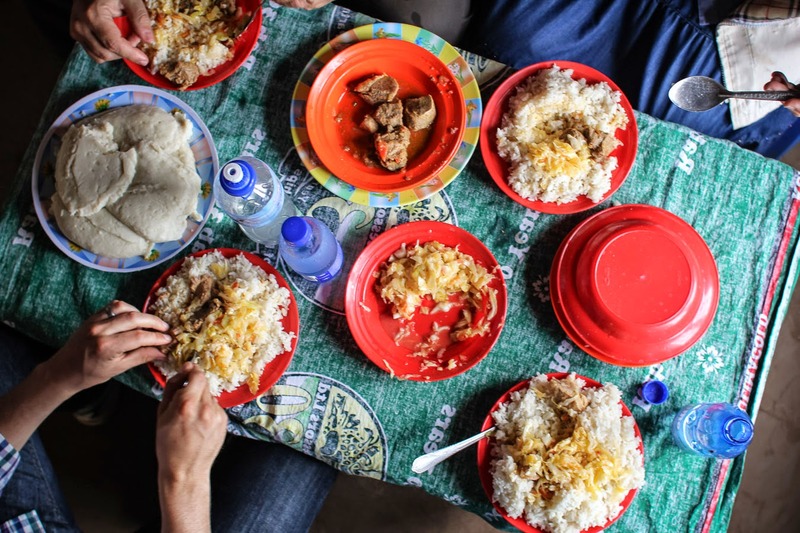 Lunch was always rice and/or nsima (cornmeal cooked into a texture between that of bread and mashed potatoes), beef, and cooked cabbage with tomatoes. 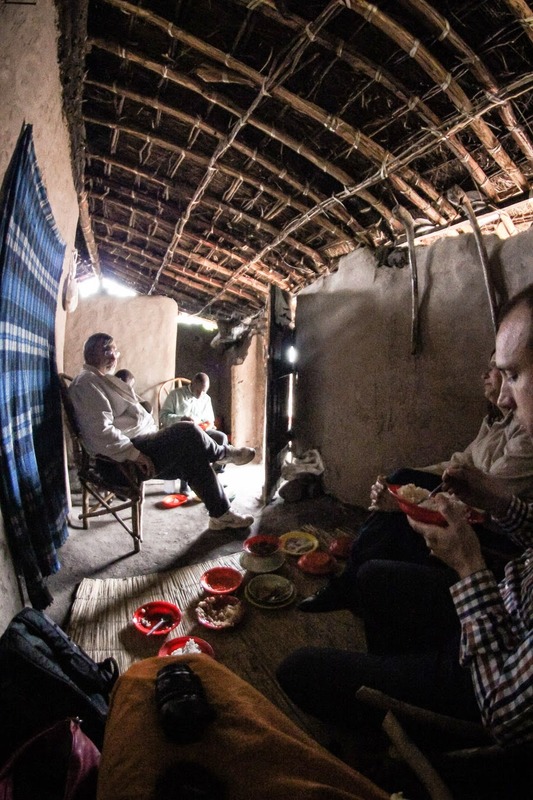 They’d feed us inside a house each day because apparently everyone would’ve been too interested in watching the white people eat if we’d eaten in plain view. The regional coordinator's house where we ate lunch in the first village. Lunch every day. The mushy stuff on the left is nsima. The regional coordinator's house where we ate lunch in the second village. The regional coordinator's house where we ate lunch in the fourth village. 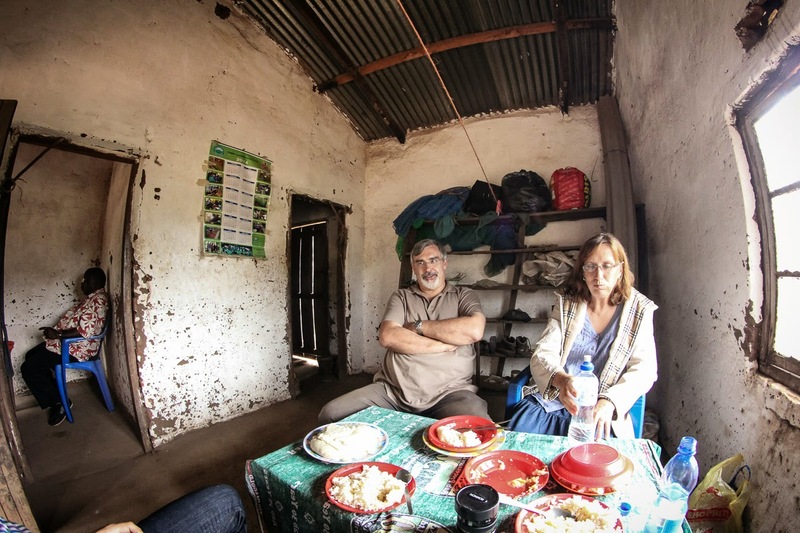 After lunch, Gama would spend an hour talking about church planting and preaching, and then we’d load up to head back to the rest house in Nchalo. We have had an incredible time here. We are so thankful that God worked it out for us to come, and that our parents were able and willing to keep our boy this whole time. For as great as this has been, we miss Jude so much, and we are so, so ready to get home to him! Please pray for us as we travel home over the next two days.